Apprentice Lachlan King hs his first Group One ride on So Si Bon in the Doncaster Mile. 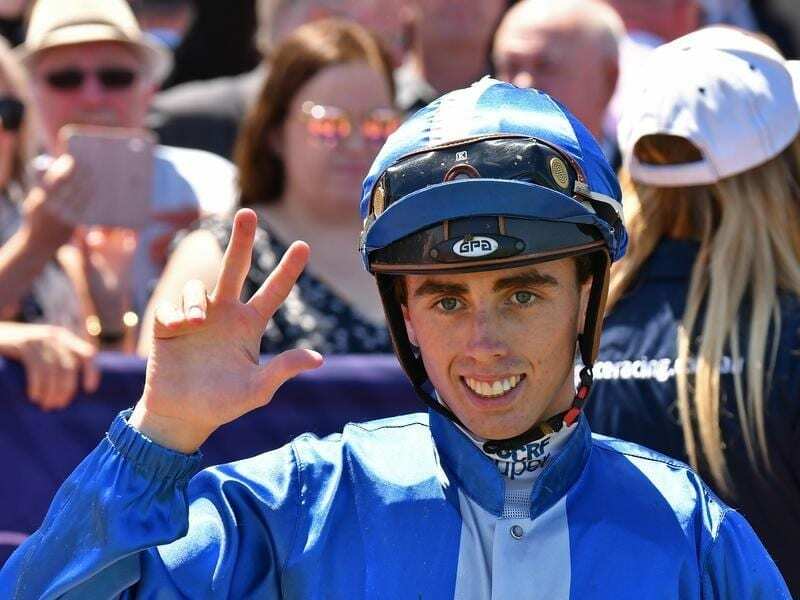 Less than two-and-a-half years after having his first race ride, Victorian apprentice Lachlan King has the opportunity at racing’s elite level on one of the country’s biggest race days. King, 20, has his first ride in a Group One race in Saturday’s $3 million Doncaster Mile at Randwick on lightweight hope So Si Bon. “Obviously these opportunities don’t come around often for apprentices who are still claiming two kilos in the city, certainly not for the trainers of the status of Lindsay Park’s stable,” King said. “But also just to be able to get a ride on a live chance in the race was a good feeling and I’m really looking forward to the challenge. “It’s a bit surreal, to be honest. I didn’t think that it would be coming this early in my career. “I really can’t be more appreciative to David and Tom and Ben. They’ve always supported me, whether it be claiming four (kilos) in the country to now riding in a Group One. So Si Bon is one of three chances down in the weights in Saturday’s race for Lindsay Park co-trainers David and Ben Hayes and Tom Dabernig. Ben Thompson rides three-year-old filly Fundamentalist while Jye McNeil is on Ajax Stakes winner Fifty Stars. All three riders are aiming for a first Group One win. So Si Bon is the outsider of the trio but King, son of retired star jockey Steven King, believes the gelding is capable of an upset. “I think he’s quirky and I’m happy that I’ve had a ride on him before. I ran second on him at Flemington before (January),” he said. “He’s a horse that could really pull something out of the bag. He drops a lot in weight down to 50 kilos and the barrier draw really helped us, drawing five. “We’ll be looking to just get a bit of cover, smother him up early and produce him late. “He was only beaten a length in the Australian Cup so the form is there and he’s tough and fit.